A butterfly flew past and I had just enough of a view to see that it was an red admiral, presumably an over-winterer that had awoken in brief sunshine. About five minutes later it re-appeared and landed on the garden fence, so into the house I went to fetch my camera. 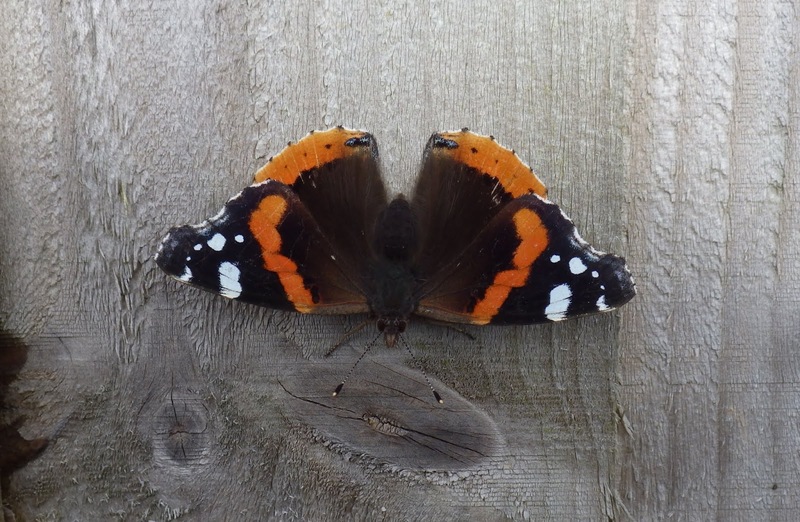 As it meant taking off my muddy boots, going upstairs to get the camera etc, I did n`t expect the butterfly to be still there, but it was - a handsome red admiral. Above: red admiral, Llanelli 4th Feb 2019. Thanks Steve. I`m looking forward to the 2019 season and hoping to visit more sites this year. I`ll be doubtless starting (with Sam) the moth report write-up soon and by the time it appears it should be `active spring recording time`!